The Royal College of Physicians say that the NHS Incontinence Services are failing millions of sufferers. This is certainly the experience of a British company with a clinically proven, low cost treatment that could save the NHS £millions and offer patients a more effective treatment. A third of new mums and half of all women reaching the menopause will suffer from the embarrassment of stress incontinence but a new treatment that offers significant advantages over the best that the NHS can offer has been ignored by the NHS and the media. His analysis of the problems facing women with stress incontinence has now been totally supported by a Royal College of Physicians audit. However, if the experiences of SPM Ltd, the manufacturer of an effective, low-cost self-help device are anything to go by, then improvements are likely to be a long way off. The NICE recommended treatment for stress incontinence is supervised pelvic floor muscles training but in reality most women are not supervised - they are just given a sheet of instructions. This approach fails many women because more than a third of women are unable to identify and correctly exercise their pelvic floor muscle. New research published in the British Journal of Urology proposes improvements to the NHS recommended treatment with the use of a specially designed exercise device called the PelvicToner™ which helps women identify and isolate the pelvic floor muscles and then exercise them correctly by squeezing against a resistance. The principle treatment offered by the NHS is a lengthy (3 month) regime of pelvic floor exercises but clinical observations over many years have recognised that this course of action is often quite ineffective, not least because of poor or inadequate training, poor compliance and the fact that more than a third of women are unable to identify and correctly exercise their pelvic floor muscle. 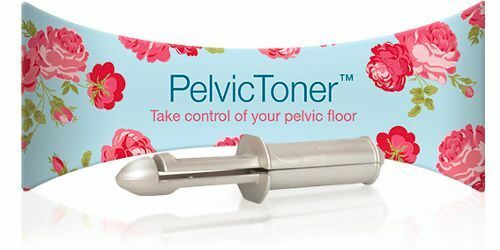 The PelvicToner offers the NHS significant cost-benefits and increased patient satisfaction but attempts to offer the device as a prescription product have just been met with a stonewall. In the clinical trial, 86 per cent of participants who used the PelvicToner reported a ''significant'' improvement in their condition. The two-year randomised study at the BUI, Britain's leading urodynamics research centre at Southmead Hospital, Bristol, monitored participants for 16 weeks. The researchers said the PelvicToner was ''easy to use'' and proved ''particularly helpful'' in the majority of cases. A total of 86 per cent gave a satisfaction rating of seven-out-of-ten or higher. Stress incontinence occurs as a result of reduced support for the bladder, usually by 'sagging' pelvic floor muscles commonly brought-on by childbirth, the natural effects of the menopause and a lack of regular, effective exercise. It accounts for 65 per cent of female urinary incontinence and affects around 4 million women in the UK. According to SPM Ltd, the device's Bristol-based manufacturer, a major benefit of the PelvicToner is the speed of improvement compared to pelvic floor exercise alone. An independent survey carried out by SPM found 87 per cent of users had better bladder control within four weeks. This gives women a great morale boost and encourages them to continue exercising. The PelvicToner ™is a simple, portable exercise device that works by strengthening the walls of the pelvic floor through mild resistance training. This tightens the muscles around the neck of the bladder and prevents urine leaking out when you cough, sneeze, laugh or make a sudden movement. The first National Audit of Continence Care for Older People, sponsored by the Healthcare Commission, was published in November 2005. The results from that audit generated much interest and harnessed an impetus for change. This report presents the results from the third round of the organisational and clinical National Audit of Continence Care which examined the structure and provision of care for people with lower urinary tract symptoms and incontinence, and faecal incontinence in primary care, secondary care and care homes in England, Wales and Northern Ireland, and compared this to current national guidelines. Well organised services, based upon national guidelines have been shown to deliver higher quality care to patients. As judged by the national guidelines however, this round of audit shows there is still considerable variation in both the organisation of services and the way they deliver care to patients. users almost never contribute to service planning or evaluation. Provision of training for health care workers to manage bladder and bowel problems is patchy across the nation, and overall occurs in less than 50% of acute hospitals. making care plans to achieve treatment goals and sharing these with patients and (where relevant) carers. Quality of care specifically assessment, diagnosis and treatment, is worse in older people (patients aged 65 years and over as compared with those aged under 65). People of all ages, and vulnerable groups in particular (frail older people, younger people with learning disability) continue to suffer unnecessarily and often in silence, with a 'life sentence' of bladder and/or bowel incontinence. There is an urgent need for improved and equitable practice for all people with bladder and bowel problems.